Important is not just what a horse wins but how memorable he was winning. Santino is one of the few horses that are simply different and memorable, exciting and special. Santino V is all the classic Arabian should be - snorty and blowy in the show ring but calm and sensible outside of it. 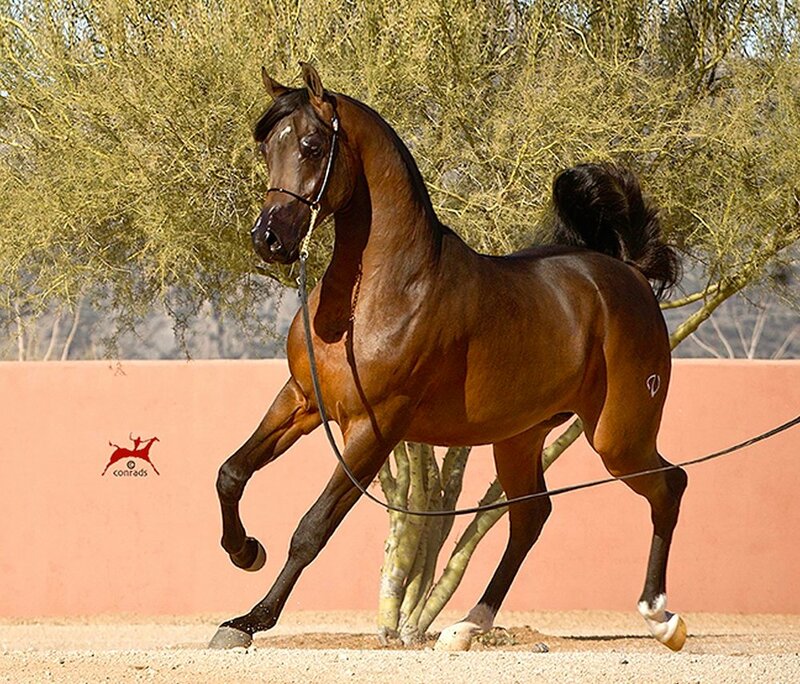 His beauty has been recognized by judges at the US Nationals, the Arabian Foal Festival and Scottsdale. 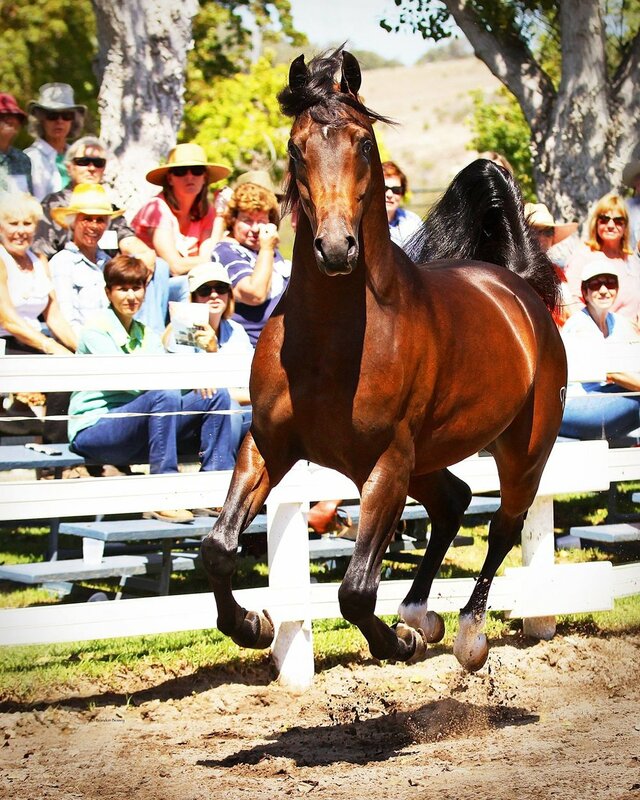 Santino V has the heritage to be successful in the show ring and the breeding barn. His full sister, SERENDIPITY V has also won a gold medal at the Arabian Foal Festival and placed second in her class at Scottsdale. A third full sibling, THE SEEKER V is a Santa Ynez Foal Festival Bronze Medal Weanling Colt & Gold Medal Yearling Colt. Their sire, US Reserve National Champion Futurity Colt AUDACIOUS PS, has sired National champions in halter, western pleasure, hunter pleasure and working cow horse. A remarkable 84% of his shown get are champions. AUDACIOUS PS get have produced National winners in halter and performance including five time National Champion Western Pleasure MONACO JULLYEN V. AUDACIOUS PS is by the irreplaceable US National Champion Stallion FAME VF+, sire of National Champions in halter, hunter pleasure, western pleasure and dressage. 110 FAME VF+ get have produced National winners. 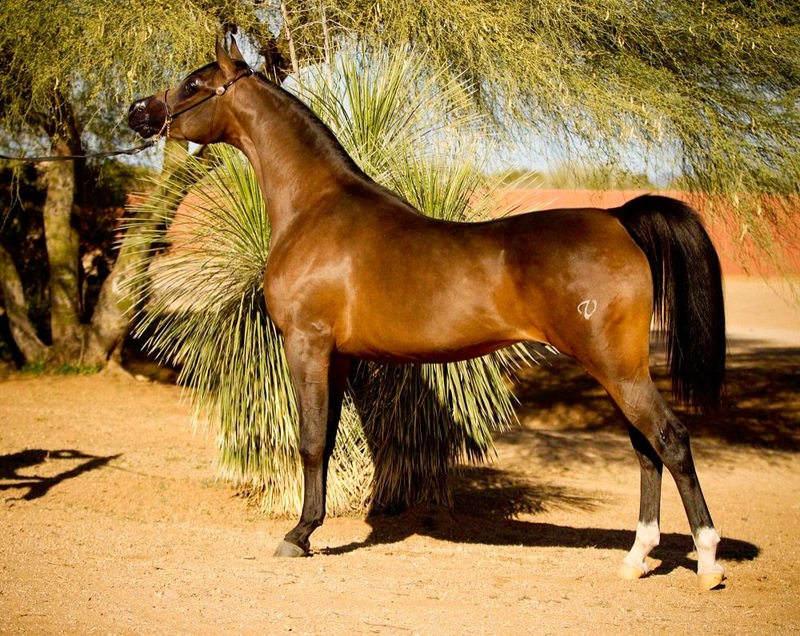 AUDACIOUS PS is grandson of multiple Top Ten Stallion *HAL GAZAL, sire of National Champions in halter and western pleasure. A good breeding stallion must come from a strong dam line and SANTINO V does, as he traces back to the breed's all time leading dam of champions KAIYNDA SPECIAL and comes from a dam line that has produced champions for six generations. His dam SATINE IA is a halter champion and Scottsdale Top Ten ATH. Her sire QR EXCEL is a US and Canadian Reserve National Champion Stallion and a National winner sire. QR EXCEL is a full brother to multiple National Champion Hunter Pleasure QR IRISH KOUREAM+// and to SWETE DREAMS, dam of World Gold Champion Stallion, World and National Champion sire QR MARC. 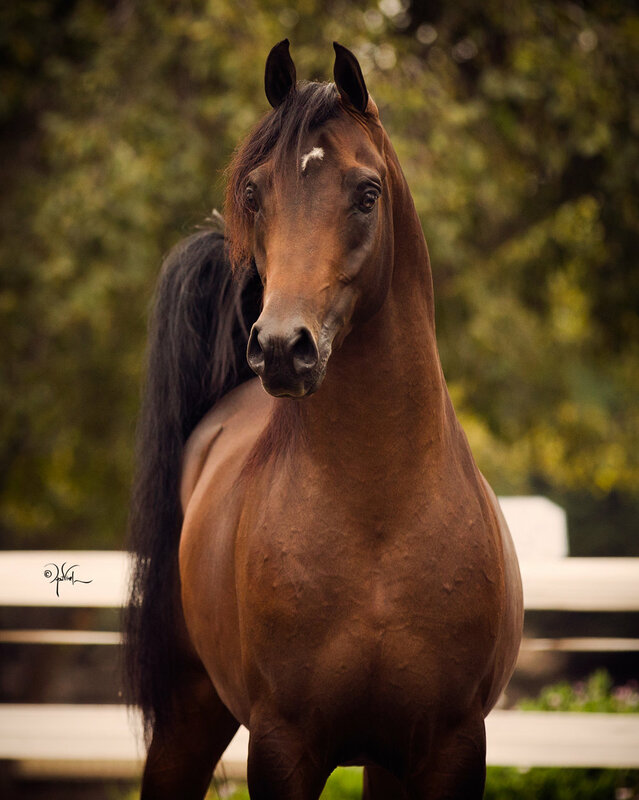 SATINE IA's dam, regional halter winner PSYCHES EUPHORIA, produced 5 champions and is a full sister to National winner sire PSYCHES LEGACY (sire of National winners in halter, western pleasure and western sidesaddle). PSYCHES EUPHORIA is a 3/4 sister to multiple National Champion Halter and National Champion sire GR PSYCHES REY. SANTINO V's third dam is KAIYNDA SPECIAL, who is tied with the Varian mare MOSQUERADE V as the breed's all time leading broodmare, both produced 15 champions. KAIYNDA SPECIAL is the dam of 10 champion producers and 4 National winner producers.